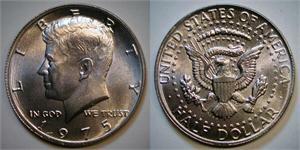 The US Mint produced Kennedy Half Dollars from 1964 to present. But none were issued with "1975" dates because the "1776-1976" Bicentennial coins were minted during the 1975 and 1976 calendar years. The diameter may be very slightly larger than normal. This is a great addition to my JFKs! 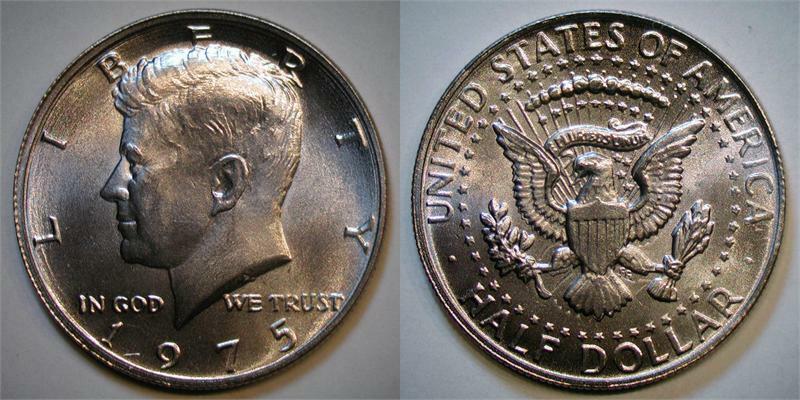 As a kid I literally had a dream i found a 1975 JFK. Since that time I thought it would be great to own one. 30 years later the dream comes true! Thanks Daniel for a great fantasy coin and making a dream into reality!